I spent some time in New York City last weekend. I’m writing a series of pieces for Psychologies Magazine called ‘The Kindness Conversation’ where I basically have, well, conversations about kindness. In New York, I had my kindness conversation with Cynthia Germanotta, mother of Lady Gaga. Cynthia is president and co-founder (with her daughter) of Born This Way Foundation, a charity whose mission it is to create a kinder and braver world. They focus much of their efforts on inspiring kindness in young people. After our conversation (which will be in Psychologies Mag in a few months’ time), we headed out to Baldwin High School, a school on Long Island, to participate in a kindness project that the kids there have been involved with. These kids had bought over 400 Christmas presents for children whose families are homeless. 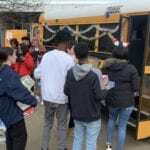 When we arrived at the school, all of the presents had been gathered together in a large hallway in the school before the kids took armfuls each and carried them out to a school bus. 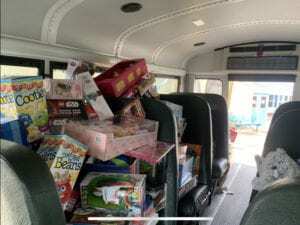 They literally packed the bus full of presents. Once filled, the bus was then driven to Bethany House, which provides emergency and transitional housing for homeless families in Long Island. As part of their ‘Multiply Your Good’ campaign, Born This Way Foundation matched the number of presents with gifts of clothing for the children from one of their partners, thus doubling the volume of donations and so that the children of Bethany House would receive toys and clothing at Christmas. As I write this, I am in awe of the kindness I witnessed at the school. It touched me deeply. Similar to my last experience in a school (see My Day Talking Kindness to Young Children), I found myself blown away by what I witnessed. People have often remarked that I am a kind person because I write and speak about kindness. In some ways, I am trying to use my skills to spread kindness, which is why I write and teach. But I cannot help but feel that there is a difference from writing and speaking about it and actually being on the front line doing it, like these kids were. It was a real humbling experience. The teachers at the school deserve a special applause too for having the vision and desire to involve the school kinds in such a rewarding programme where, at their young age, they could have first-hand experience of kindness, what it means, and how it makes a difference. I think it’s a great idea to involve kids in kindness projects like this, so that they can learn about kindness through experience at a young age and also, through further school work, can explore the consequences of kindness, the impact it can have on people’s lives. Surely, learning about kindness while at school is as important as learning to read and write, as important as maths, science, music, art and languages. Kindness is fundamental to our interactions with each other. It’s a way of being, a way that colours the nature of these interactions. It is fundamental at all levels of society. It is fundamental in building and maintaining healthy communities. Kindness is getting more column space in newspapers and magazines now than at any other time I can remember. Perhaps it’s an antidote to some of the aggression and division we see so much of in the world at the moment, especially on the political scene. Perhaps we subconsciously seek to counterbalance division with kindness, because kindness unifies. Kindness is like glue that holds us all together. What would we be without kindness? Where would we be if we all sought to look out only for ourselves? Kindness includes others. I think kids should be learning what kindness is in school; how it matters, why it matters, its consequences. Kindness should be on the curriculum of all schools. I was bullied at school when I was 16-17 years old. I often wonder if things would have been the way they were for me if kindness had been on our school curriculum. Would I still have been bullied? Perhaps! Perhaps not! But I do believe that, in general, a curriculum that included studies on kindness, with opportunities for further study in later school years, would result in a noticeable drop in bullying and a significant increase in tolerance and unity and perhaps even academic performance. Kids could be learning why kindness matters, how it impacts our health, how it spreads by inspiring ‘pay it forward’ behaviour in others. They could be learning how to actually be kind, the multiple forms it can take, from saying thank you, to paying a compliment, to listening, to being there for a friend or family member, to volunteer work, to helping people in the community, to refraining from bullying. They could learn about the science of kindness and how it impacts our health, from how it makes us happier, can reduce risk of depression and anxiety, how it helps build resilience by counteracting stress, to how it impacts the heart and arteries, the nervous system and immune system. The curriculum could involve practical experience of volunteering in the community, with a written report that encourages the kids to reflect on the impact of the work they did. Older kids studying kindness may even, as part of their own projects, help tutor younger kids in some of their school subjects. Perhaps kindness as a compulsory subject on the school curriculum would have further reaching consequences too, as kids move on after school and take what they have learned into the wider world. Perhaps it would have knock-on effects in business, in how business is conducted, on the reasons why business is conducted. Many kids who learned kindness at school may become business leaders and influence how business is done. Many could find their way into politics and their knowledge and experience of kindness may influence decisions taken at national and international levels, which surely will benefit all of us. I think we may then see the world coming together in greater ways as we recognise and embrace our common humanity, as we celebrate our similarities instead of squabbling about our differences. “We look for a glorious dénouement [end result],” said Archbishop Desmond Tutu in the film and book, Choice Point (which I’m also in), “when we will discover that we are actually members of one family.” I think kindness on the curriculum might really help us with such a goal. This might sound idealistic or even fanciful thinking, but I think it’s already happening. There are pockets of this happening everywhere, even if not formally, not least at Baldwin High School, but also in the school that my friend John teaches at, where he teaches young kids on the ASD spectrum. Their whole school did a kindness project. Some of the kids in John’s class wrote letters to me a few weeks later to tell me the sorts of acts of kindness they had been doing and what kindness their classmates had shown them. I know there are many more schools making kindness a fundamental part of children’s education and experience. Kindness matters. Kindness makes a difference. Being kind also inspires kindness in others. It is contagious. That is a fact. I think it’s spreading through schools now. 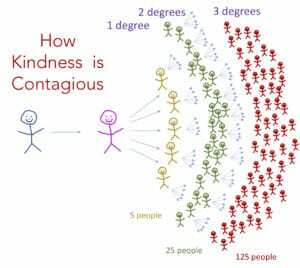 And at a time of year when we worry about catching a cold or flu, kindness is one ‘bug’ that I think we would all do well to catch. But even more impressive was that these opioids were produced only in the specific region of the brain governing the specific region of the left hand or foot that had the placebo cream applied. Yay! It’s book launch day. ⭐️ ⭐️ ⭐️ My book, ‘HOW YOUR MIND CAN HEAL YOUR BODY’ is officially on sale now from everywhere that sells books.  It’s the 10-year anniversary edition. The book was first published 10 years ago and usually, when I write a book, I kind of just put it out there and don’t give it that much thought, so I never imagined I’d ever be writing a new edition, but my publisher (Hay House) asked me if I could update it. So I did. These cover things like how to use visualisation to enhance your immune system and I even share studies where this has been done in randomised controlled trials of women undergoing treatment for breast cancer. Typically, half do visualisation in addition to chemotherapy and radiotherapy, while the other half don’t. The visualisation group had a higher clinical response to treatment, which might be assumed to be the result of the extra impact of the immune system, as the researchers noted that the immune systems showed high levels of cytotoxicity even during treatment. New chapters also deal with how visualisation works and how to actually do it and also include the application to sports, including how to enhance performance whether elite or beginner, or even learn a new skill, and even rehabilitation from stroke. I’ve also included several new stories from people who used visualisation as part of their recoveries from injury, illness or disease – including cancer, heart conditions, psoriasis, post-polio syndrome, and many more. 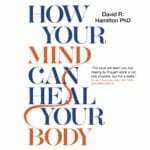 If you’re new to the book altogether, the first part discusses the placebo effect, sharing multiple examples in different settings, but also explaining how it works. 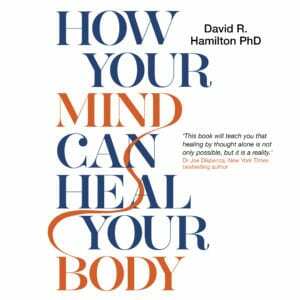 Chapters also cover positive attitude, meditation, and how the brain doesn’t distinguish real from imaginary. There’s also an A-Z list of visualisations for a large number of medical conditions. If you’re interested in checking it out, you can find links on the ‘Books’ tab of my website, or just try anywhere that sells books, including Amazon, Barnes and Nobel, Waterstones. I spent a day earlier in the week at a primary school where I was talking to young children about the importance of kindness. It was a school outside Glasgow, Scotland, on the invitation of my friend, John – aka Mr McLellan. The school has a dedicated ASD unit. I was a little nervous as I’m not used to speaking to children. Almost all of my talks, lectures and workshops have been for adults. I usually talk a lot about the science of how kindness impacts health, as well as various aspects of the mind-body connection and self-esteem, so I wasn’t sure if I’d be able to simplify things for the children or even make what I do sound remotely interesting. John assured me that I’d be fine, that they mostly just want to know what I do and then ask me questions. My first class was John’s class, a small class of 8. I brought a couple of my books with me and began to talk about my job as a writer. 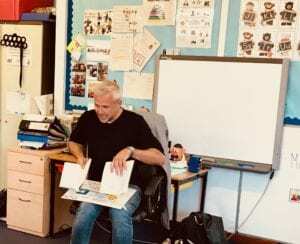 I explained that I’m an ‘author’ and showed them some of my books and various international translations, including the same book in English, German, Romanian and even Japanese, which they found fascinating. I told them that I mostly write and teach about being kind and how important that is. I asked if any of them knew what being kind meant. A sea of hands shot up, each of the children politely waiting to be asked. I went around them one-by one, amazed as they gave lovely examples of kindness; like helping someone up if they’ve fallen down, saying nice things to people, saying ‘thank you’, paying compliments, holding a door, even being respectful. After a little more talk about kindness they had a chance to ask questions. Mr McLellan had given them all cards the day before so that they could write their questions and read from them. One of the first questions was, “What age are you?” so we had a guessing game, followed by another guessing game around how many pages my book has and another about how many words are in it. Faces swelled with pride when they got answers right. I was also asked things like, “What’s your favourite TV show?” and “Do you have a car? What kind is it?” It was so incredibly nice for the children just to get to ask what they want to know, and I enjoyed it immensely. I repeated the same thing three more times through the day for children at all ages, including whole-year assemblies for primary 7 children (ages 11 and 12) as well as primary 1 (ages 4 and 5). In one class, I talked about how I went to university and then worked as a scientist making medicines. I asked if any of them knew what a scientist is. 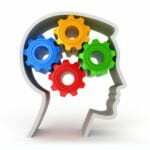 Many of could describe some aspects of different kinds of science. Between them, they painted a good picture of what a scientist does. Since my PhD was organic chemistry, which consists of sticking atoms together to make molecules, many of which end up as medicines, I asked if anyone knew what atoms were. Few adults could give such a precise answer. I was actually speechless. That he mentioned the word ‘particles’ and had a sense of their size and relative quantities just blew me away. He must have been about 9 or 10 years old. During lunch, I sat in on choir rehearsal, where Mr McLellan played some music that the children sang along to. It was a rehearsal for an audition later in the week for BBC Children in Need. It took my breath away. These young children, singing together, some looking at each other for comfort or approval, moved me to tears. I can’t quite express in words how moving it was. As I write this, I still see in my minds’ eye, happy, smiling faces from some of the children I spent most time with in John’s class. Their personalities are infectious. They left a really big impression on me. The day was an unexpected pleasure for me. As I wrote above, I was a little nervous when I arrived because I’m not used to communicating what I write and teach about to young children, but my fears were unfounded. The children really just wanted to know about me and a little bit about what I did. I was warmed by how much they knew about kindness, how they were learning at school what it is and how important it is. They were even being recognised for being kind with little awards. I don’t ever remember formally learning about kindness when I was at school, so this was great to see. Overall, I was deeply inspired by the teachers and classroom assistants too. 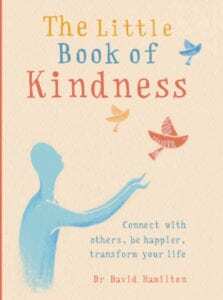 People often say to me that I’m doing a great job in spreading the word about kindness by writing about it and collecting scientific studies together into books and blogs that others can quote. People call me a kind person for this reason. To be honest, I don’t see it like that. I really don’t. What inspired me deeply was John and his colleagues. How they were with the children. How they spoke with them, taught them, comforted them. I mentioned to John that he had such a kind and gentle way with the children that you would think he was their parent. These are people – like many other teachers, carers, service workers, etc, all around the world – who are on the front line actually doing the kindness. I write about it. They doit! It really moved me. I am so grateful that there are so many people in the world on the front-line doing kindness daily, as well as the millions of people who are simply just kind people, acting on opportunities as they present themselves daily. I think there is a lot more kindness in the world than most of us typically see. The experience has left me with more hope, gratitude, and a good feeling that things are changing for the better, even if it’s not always immediately obvious to see. I recently read a scientific paper, published this year in the Journal of Oncology (see paper), with great interest. It linked the activity of the vagus nerve with cancer prognosis. I’ve written quite a bit about the vagus nerve in some of my blogs and books (The Five Side Effects of Kindness), mainly because the vagus nerve produces an anti-inflammatory effect in the body. I’ve also emphasised how this effect is even amplified by the experience of compassion. That’s why I found the paper so exciting because it reviewed 12 scientific studies, involving 1822 patients, and suggested a link between high vagus nerve activity and better cancer prognosis. The effect, the authors wrote, was most likely due to an anti-inflammatory effect created by the vagus nerve. I’ve summarised the main findings of the paper below. 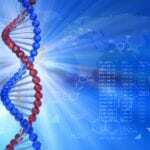 The authors pointed out that three main biological factors contribute to the onset and progression of tumours. These are: oxidative stress (free radicals), inflammation, and excessive sympathetic [nervous] activity (stress). Amazingly, the vagus nerve seems to inhibit all three. Many of the studies measured heart rate variability (HRV), which is the main index of vagus nerve activity. Briefly, when we breathe in, heart rate quickens a little, only to slow down again when we breathe out. The vagus nerve is responsible for the slowing down, and thus the difference between this increase and decrease (high and low) of heart rate – heart rate variability (HRV) – is considered an indicator of vagus nerve activity. Generally, the paper found that the higher a person’s HRV, or vagus nerve activity (also known as vagal tone), the slower the progression of cancer, and this was true for all cancers studied. The effect was especially pronounced in late stage, metastatic cancers. The authors suggested that in early stages of cancer, the treatment a person receives is the overwhelming positive factor and so swamps out any observable effects of the vagus nerve, but at later stages, when treatments are often less effective, the vagus nerve’s workings are far more apparent and the vagus nerve becomes the main determining factor. So much so, in fact, that the authors found that survival time in patients with high HRV (or vagus nerve activity) was 4 times greater than in patients with low HRV (or vagus nerve activity). The effect of the vagus nerve on inflammation was suggested as the main factor. It is known as the ‘Inflammatory Reflex’. The vagus nerve basically turns off inflammation at the genetic level by turning down a gene that produces TNF-alpha (Tumour Necrosis Factor), which is an inflammatory protein in the body that sets off a cascade of inflammation. Thus, the vagus nerve can effectively control inflammation in this way. Therefore, higher vagus nerve activity usually means lower inflammation. In one study of patients with advanced pancreatic cancer, for example, patients with high HRV (or vagus nerve activity) survived longer and had lower inflammation levels than patients with low HRV (vagus nerve activity). 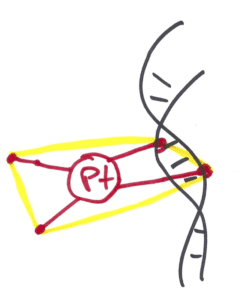 The study also showed that tumour markers in other cancers (like PSA – prostate specific antigen – for example) were also lower in patients with highest vagus nerve activity. So, the question is: can we increase our vagus nerve activity? I’d like to draw your attention to the latter because I’ve written about this before and it demonstrates a powerful link between mind and emotions and physical health. 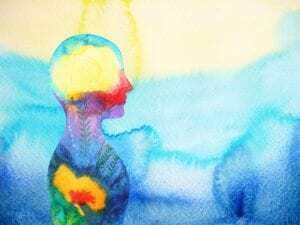 Studies have shown a link between compassion and vagus nerve activity, an idea first put forward by Stephen Porges, a professor at the University of North Carolina at Chapel Hill, and now widely known as polyvagal theory. For example, vagus nerve activity has been shown to increase through regular practice of a compassion meditation (the Buddhist’s metta bhavana or ‘Loving Kindness’ meditation). Here, we consistently cultivate a feeling of kindness and compassion for ourselves and others. The same meditation has also been shown to lower a person’s inflammatory response to stress, presumably via increasing vagus nerve activity. So, yes, we can increase vagal tone! For me, this research is extra evidence that exercise, meditation, yoga, and even compassion, offer us far more protection from illness than we have imagined up until now. Now we are beginning to see the underlying biological mechanisms that explain why these practices are so beneficial. Of course, exercising, meditating, doing yoga or being a nice person doesn’t mean a person will be immune to cancer. We all know that’s not true. But it might mean that they offer us a degree of protection, perhaps lessening the impact of some of the factors that do cause cancer.